In 1914 C. Austin Miles wrote the famous funeral hymn “In the Garden”. Flowers are a simple and beautiful way to create a personal tribute to the loved one who passed away. Flowers create a background of warmth and beauty which adds to the dignity and consolation of the funeral service. Those who have attended services where there were no flowers, have expressed the feeling that something was missing… that the funeral was depressing. Flowers are sent to funerals for several reasons. First of all, they are a means of expression. 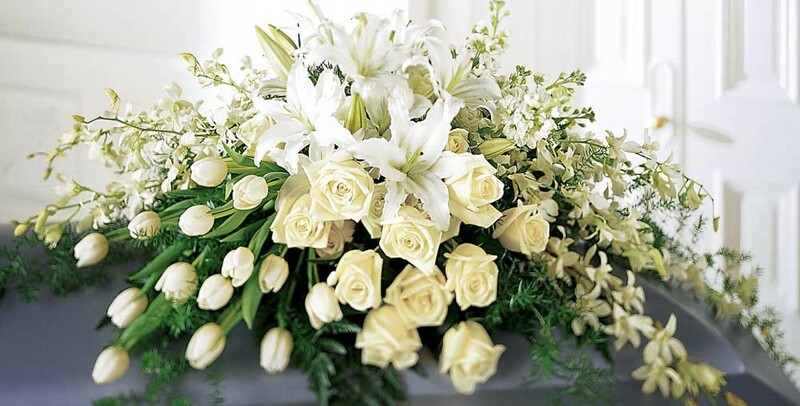 When someone has died, giving flowers helps many people express their feelings and emotions. It is often difficult for those mourning a death to put feelings into words. Flowers are a visual expression of love, sympathy and respect. They are a compassionate and affectionate way of lending support and sharing the burden of grief. Some people send flowers to the church in memory of the deceased. 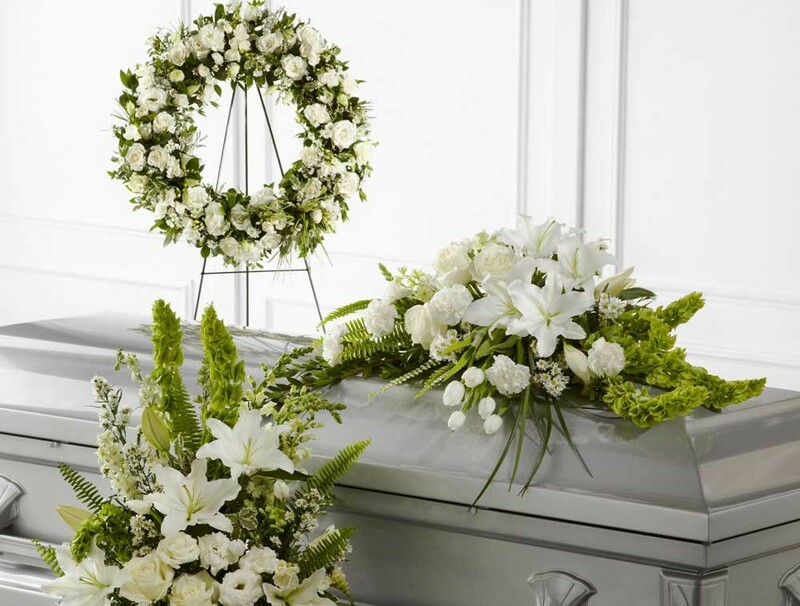 People often choose flowers that were a favorite of the person who has died, making the funeral more personal. Lilies are among the most frequently sent flowers. Lillies suggest that the soul of the deceased has returned to a peaceful state of innocence. Just like lilies, roses are a very common and appropriate funeral flower, and different colours has a slightly different connotation. White roses are the ultimate symbol of spirituality, purity, and innocence. At a funeral, the classic deep red rose evokes love and grief. The yellow rose is often given by friends to show their bond. The rarer dark pink roses are used to express thankfulness to the deceased.